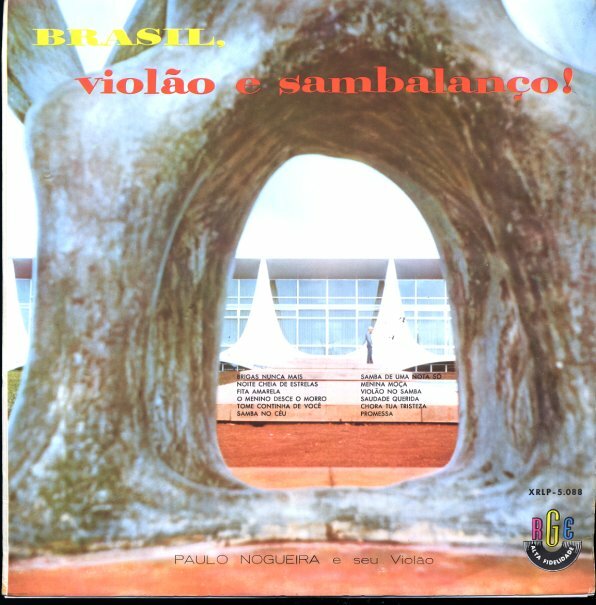 Acoustic guitar and lots of lively rhythms – a set that's somewhere in the territory of early records by Luiz Bonfa and Baden Powell, but has a nice sort of flavor that's all its own! Paulinho Nogueira has a chromatic sound to his instrument – as his guitar lines cascade out gently in these little flowers of color that really illuminate the record – given only a bit of direction by light percussion on most of the tracks – which keeps things in moody territory that's somewhere in the territory or bossa or samba, but with some nice surprises along the way. No vocals at all – and titles include "Menina Moca", "Violao No Samba", "Brigas Nunca Mais", "Fita Amarela", "Noite Cheia De Estrelas", "Saudade Querida", and "Promessa". © 1996-2019, Dusty Groove, Inc.